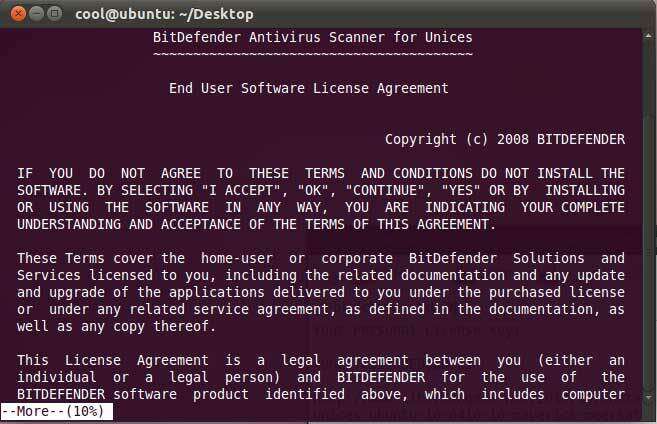 1.Go to BitDefender Antivirus Scanner for Unices license key request page to request a license key and download link. 2.Once you received the email from BitDefender,click the download link and download the BitDefender-Antivirus-Scanner-7.6-4.linux-gcc4x.i586.deb.run file(for 32 bit) on your desktop. 3.Open Terminal.To open terminal click the Dash home from unity launcher.And type terminal in the search field. And click Terminal. 6.Type your ubuntu password if needed. 7.Press enter key untill it show the 100%. 8.Then type accept and press enter. 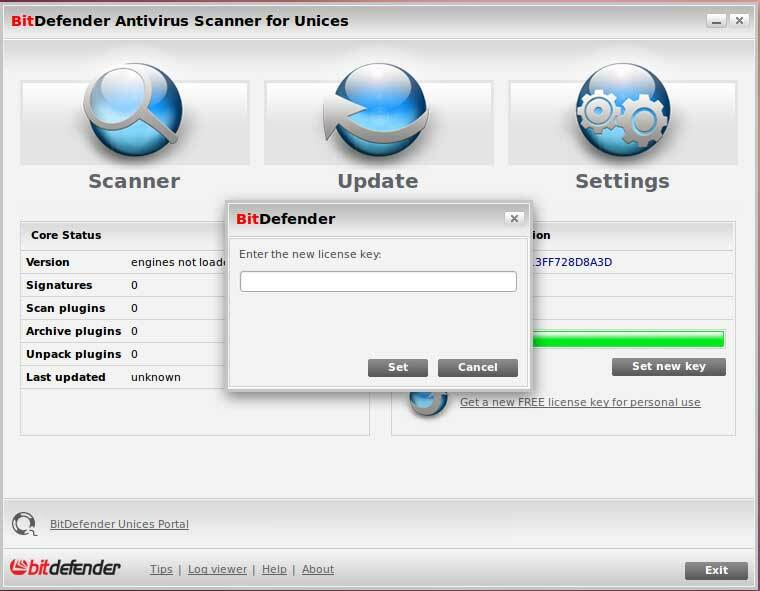 9.Type y and press enter to confirm BitDefender Antivirux Scanner GUI package installation. 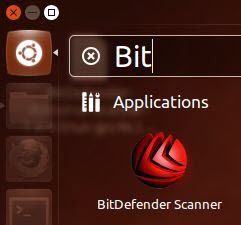 8.After the successful installation exit from terminal and click the Dash home from unity launcher.And type BitDefender in the search field.Then click BitDefender Antivirus Scanner. 9.close tip of the day and click set new key button and enter your key and click set. 10.Update and scan your system.